Pity Prime Minister Shinzo Abe’s apologists and press secretaries, faced with the thankless task of defending the indefensible, fighting off an aroused media, and an opposition that smells fear and cover-up. 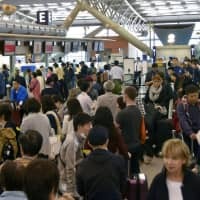 And now, dealing with a stinging setback in the Tokyo assembly elections — one that served as a referendum on Abe and the first opportunity voters had to register their displeasure over his recent scandalous behavior. The sharp rebuke from the electorate was a response to his behavior in riding roughshod over the Diet, and what the public believes to be his abuse of power in doling out favors. Just before the elections he put on a show of contrition and humility over his undignified performance in the Diet, jeering and belittling opposition lawmakers like a petulant frat boy, but the act seemed more perfunctory than sincere. During the campaign, opposition parties accused Defense Minister Tomomi Inada of violating the law by suggesting that she and the Self-Defense Forces back a Liberal Democratic Party candidate, while a fishy explanation about fund-raising by former education minister Hakubun Shimomura tied him to the Kake Gakuen veterinary school scandal, reinforcing public skepticism about money politics. We have witnessed Abe’s peak and he is now a diminished leader, with the aura of invincibility he projected since December 2012 now gone. The arrogance of power has been his undoing, and the public and his rivals have discovered his feet of clay. 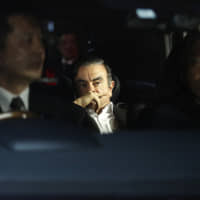 The aces up his sleeve are an opposition in disarray and an absence of strong contenders within the LDP, but the public mood has swung sharply against a man who was once the Teflon premier. 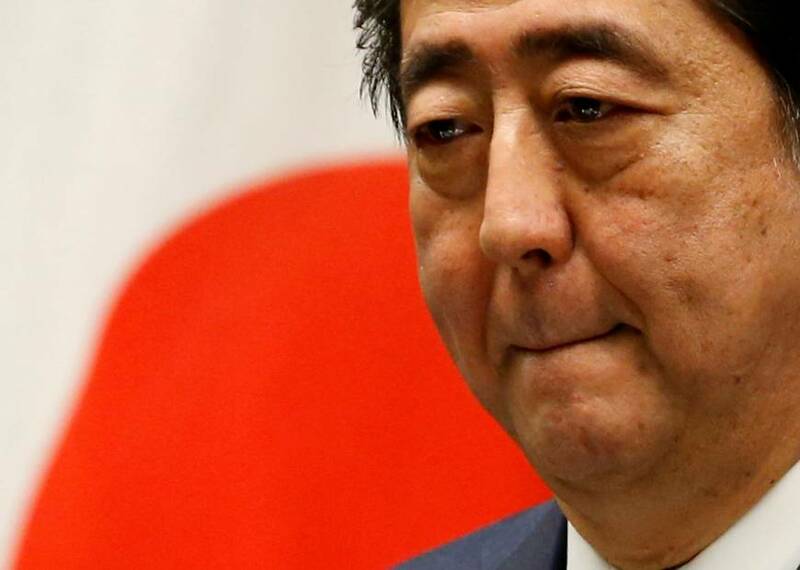 In June, some polls showed Abe suffering a double-digit drop in public support. 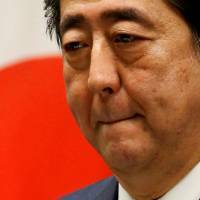 Political observers have said this was in part due to Abe’s evasiveness about cronyism allegations — the second similar scandal this year implicating him — and the high-handed way he rammed his conspiracy legislation through the Diet, ignoring parliamentary precedent and norms. Denials and discrediting of critics have not dissipated the pungent odor of impropriety emanating from the Prime Minister’s Office. The trail of breadcrumbs leading to the threshold of Abe’s door was not swept away by Chief Cabinet Secretary Yoshihide Suga’s bumptious insistence that all the awkward official documents implicating Abe were of dubious origin. Pummeled relentlessly over this display of hubris and over a half-hearted investigation, the government was forced to re-investigate education ministry files that confirmed what many outside Abe’s inner circle was prepared to believe: Something fishy is going on. There are lingering questions about Kake-gate, the recent veterinary school scandal, that beg for answers. Thus, Abe’s stonewalling of a Diet inquiry into the matter only makes him look guilty in the court of public opinion. You know as prime minister that you really are in trouble when even the chairman of Keidanren, the big business lobby and a bastion of LDP support, calls on you to provide a more convincing explanation of what happened, while polls suggest few believe Abe’s denials. The government is trying to put a happy face on the controversial conspiracy legislation, trotting out baseless rationalizations that sidestep the fact that few of the new 277 offenses outlined in the law have anything to do with organized crime or terrorism. What the new law does do is grant state security forces carte blanche to mount surveillance and stifle dissent, placing shackles on Japanese democracy. That law had to be frog-marched through the Diet so that Abe would not have to extend the Diet session and face a further grilling. The opposition mustered enough votes to force an extraordinary Diet session, which Suga initially tried to blow off. Thus, it appeared that both himself and Abe forgot that democracy is supposed to be based on accountability. Following the Tokyo election debacle, the LDP agreed to call in former administrative vice education minister Kihei Maekawa as an unsworn witness to testify in off-session committee hearings on July 10 when Abe will be in Europe. However, the opposition is still demanding that Abe appear in budget committee hearings in both houses in an extraordinary Diet session. Much depends on how damaging Maekawa’s testimony is. Instead, Abe is setting his sights on revising the Constitution. 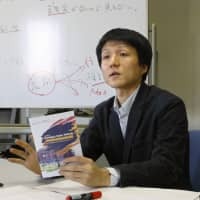 Here again he stumbled by suggesting in an exclusive interview with the Yomiuri Shimbun on May 3, Constitution Day, what he wanted revised and how it should be done, infringing on the Diet’s constitutional prerogatives with witless irony. And just a few weeks later the Yomiuri smeared the education ministry official who has played a key role in making the public aware of Abe’s alleged cronyism. Alas for Abe, this diversion has not diminished questions about his integrity and truthfulness. Significantly, it appears that key bureaucrats are leaking information damaging to Abe. Doing so is certainly in the public interest, but a risky move given the scant protection afforded to whistle-blowers. Until recent gaffes, Cabinet spokesman Suga deserved credit for insulating Abe from the fray of politics. Suga is an astute politician with the instincts of a pit bull, keeping Cabinet members on message, putting fear in the hearts of LDP members to ensure party discipline. He has kept Abe’s more ideologically ardent advisers at bay while perfecting the “Abe-trot” — three steps forward, one step back in an artful dance of apparent compromise. In the policy arena, Abe overreaches and then backs up just a bit, a disingenuous subterfuge designed to disarm critics while realizing progress on his agenda. Ten years ago Abe led the LDP to a stunning defeat in the Upper House elections that prompted his ouster by party heavyweights. He was a liability and was unceremoniously forced out because he had become the national pinata, mocked and scorned in equal measure. His intestinal problems were a face-saving excuse. Until June 2007 he had been riding high in the polls and enjoyed relatively favorable media coverage, but his remarks downplaying the problem of lost pension records sparked a sharp backlash. He was portrayed as indifferent to the plight of retirees and ridiculed as an obo-chan, a political blue blood born with a silver spoon in his mouth whose broader ideological agenda did not resonate with the public. He was known by the moniker KY (kūki yomenai — unable to read the mood) because he seemed clueless about what voters wanted. Could history repeat itself? Probably not just now, but voters have sent Abe an unmistakable message they are fed up with his prevarications and dissembling. He will need a lot more than a Cabinet reshuffle to stem the hemorrhaging. And Abe should stop whining about the media coverage — the LDP’s hammering in Tokyo is on him.